Journalist and Civil Rights activist Ida B. Wells fought against prejudice with her powerful words. She paved the way for other women of color to speak out against injustice. Ida B. Wells was born a slave in Holly Springs, Mississippi, on July 16, 1862, about six months before the Emancipation Proclamation freed all American slaves. Her father, James, helped start Shaw University, a school for recently freed slaves. Wells attended this school until a yellow fever outbreak claimed the lives of her parents and one of her younger siblings. The only person left to take care of her siblings, Wells was forced to halt her studies at the age of 16. Wells then found a job as a teacher. In 1882, she and her sisters moved to Memphis, Tennessee, to live with her aunt. Here, Wells continued her education at Fisk University in Nashville. In May of 1884, Wells purchased a first-class ticket for a train ride from Nashville to Memphis. She was commanded to move to the car for blacks, however, she blatantly refused. Wells was consequently forced off the train. This encounter was the beginning of Wells' long relationship with Civil Rights activism. Angered by the injustice, Wells started writing about the hardships for blacks in America. Using the pen name “Iola,” several of her pieces were published in black-owned newspapers. Wells eventually came to own several publications of her own such as Memphis Free Speech, Headlight, and Free Speech. When one of Wells’ friends was murdered by a lynching mob in 1892, she was infuriated. Because of this, she started her now infamous anti-lynching crusade. Wells wrote articles about the many other lynching incidents that had taken place in the South. An editorial written by Wells had the city’s whites so enraged that they raided her newspaper office and destroyed all of her equipment. Wells, who was in New York at the time, decided to stay in the North instead of returning to Memphis. Wells also published "The Red Record," a personal examination of lynchings in America. 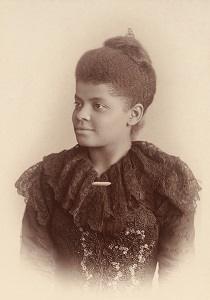 While in the North, Wells founded many Civil Rights organizations, including the National Association of Colored Women, which she established in 1896. She was also a founding member of the National Association for the Advancement of Colored People, more commonly known as the NAACP, but she actually left this organization while it was still just beginning. Additionally, Wells was active in the Women’s Suffrage Movement. Ida B. Wells passed away on March 25, 1931 from kidney disease, at the age of 68. Her inspirational legacy will not soon be forgotten. This is a great article - thanks Kadjata! Think of how difficult it would've been for Ida to leave Memphis behind without ever seeing her newspaper again. What a strong leader she was to keep fighting for equal rights.